Thank you for considering Kindred Chiropractic in Wicker Park for your chiropractic care provider. We welcome you to discover the benefits of chiropractic care for all ages. 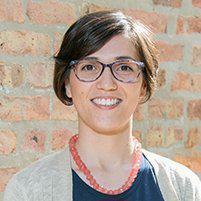 Dr. Kat Aleman looks forward to meeting you at your first chiropractic appointment at Kindred Chiropractic located in Wicker Park, Chicago, IL. In the meantime, check out these FAQs regarding chiropractic care. What Are the Benefits of Chiropractic Care at Kindred Chiropractic in Chicago? Chiropractic care offers a wealth of benefits for all sorts of health conditions. If you want to reduce physical pain and improve your quality of life, chiropractic care is a great solution. In addition to treating your physical ailments, chiropractic service does not require any surgical procedures or medications. It is an all-natural and safe solution for treatment of a variety of issues. One of the most common health problems is related to the back region, i.e. lower back pain, upper back pain, and sciatica. Other conditions that can be helped by your Wicker Park chiropractor are headaches, ear infections, asthma, high blood pressure, and joint pain. This list is not extensive. If you have a physical pain anywhere on your body, from your head to your toes, contact us at Kindred Chiropractic. We are ready to help you heal your pain through medicine-free and surgery-free solutions. Pediatric chiropractic care involves infants, toddlers, children, and teens. Here at Kindred Chiropractic, Dr. Aleman is trained in pediatric chiropractic care. This form of treatment involves a different touch and form. However, regular chiropractic treatment for children will aid in their growth and development. If you want to help your child grow according to developmental milestones, make an appointment at Kindred Chiropractic. Our pediatric services will also help to reduce the instance of injuries and illnesses in children thanks to preventative care. Your child may have conditions that require medical treatment, but you want to avoid medication or surgery. We often help children with colic, hyperactivity, constipation, poor sleeping habits, chronic ear infections, and bed-wetting issues. Let us work with your child to help them improve their physical condition. Give us a call today at Kindred Chiropractic to make an appointment for pediatric chiropractic care in Wicker Park.